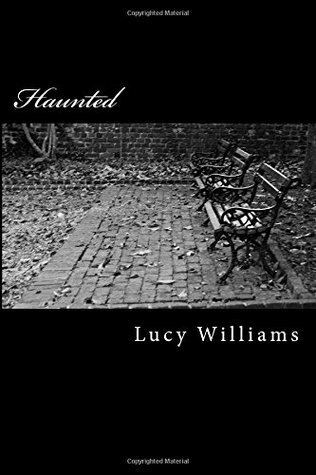 This book is a collection of poems written during and after Lucy’s bouts of depression. They delve deep into her emotional state with refreshing honesty about an illness that affects many people. First up I have to say I received my copy from the author as a birthday gift, although I do not know her personally I have followed her work for a while and she has also read some of mine, however the views and opinions expressed in this review are totally my own honest opinions. My initial response on opening the packet was that although I loved the cover it seemed a very thin book, more of a pamphlet than a book however once I started reading I soon realised that given the subject of these poems and monologues less is more. They are deeply moving and though the authors experience of depression differs from my own I could relate to much of the emotions depicted and imagery used. There were a couple of typos but they did not distract from the reading, possibly however one thing that should have been mentioned either in the blurb or at the start of the book was a trigger warning, because of the nature of the poems and references to self harm I do think that this book may warrant one. The poems themselves are evocative, there primary aim is to provoke empathy rather than to focus on being overly clever. While there is a delightful use of imagery they do not lose the reader in the complex metaphors, or literary devices many poets use, this is poetry you can pick up without needing a degree and immediately identify with. The one thing I would possibly suggest is that rather than doing this as a print version on its own it may be interesting to see it in a section of a larger body of work, maybe release the individual sections as ebooks but then have a poetry anthology and include a wider range of poetry to show a contrast between the light and dark which I feel would really highlight the emotions for those who have not suffered from depression and cannot personally appreciate its nuances. Next Not TV, Just Me!